Patient centric health care solutions are turning the patient into active consumers of the connected health care industry and have led to coining of the term- ‘Health users.’ Health users require innovations and digitization in the health sector and doctors and pharmacies are the service providers with an aim to deliver first class service to their customers. Startups have been focusing on designing innovative, connected solutions. But, not much importance is being given to the demands and needs of the patients. 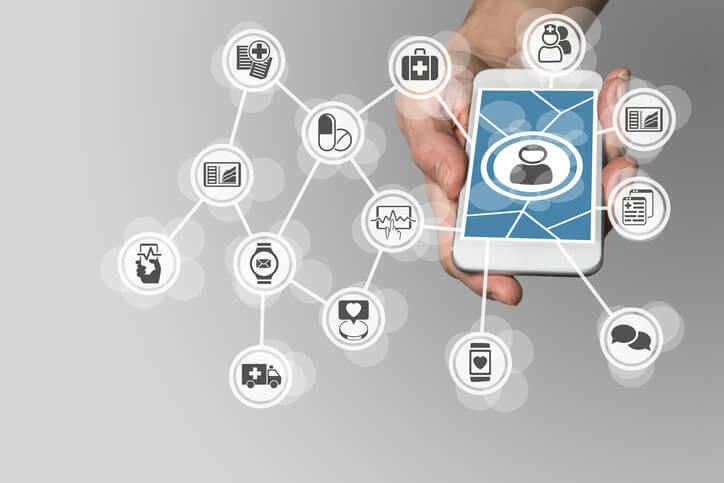 Smart world of health care is associated with complex problems such as data security and privacy concerns, collaboration with other stakeholders among others. Before developing novel technologies, we need to put patients at the center and understand what keeps patients and doctors from adopting these solutions. Patient programs, usually set up by pharmaceutical companies are designed to supplement information provided by the health care professionals. They act as support groups which motivate patients to continue therapy, remind them of their medication and acts as a platform for patients suffering from similar diseases to socialize. A successful therapy often depends on patient therapy compliance which can be increased through coaching and patient programs. There are some guidelines which govern the administration of patient programs legally. Directive 2003/81/EC prohibits the advertisement of medicinal products to the patients in a patient program. Content written on the outer packaging or the leaflet does not constitute advertising if it is purely informatively with no promotional intent. The access for the patient to objective information by the manufacturer of a prescription drug could contribute to a fruitful discussion between the doctor and the informed patient. Patient programmed is not generally prohibited, but their permissibility depends on their design. Its purpose should be to provide objective information rather than to attract new customers. Innovative health care solutions can be transferred to patients through implementation and evaluation of regulatory interventions, support of scientific progress, consideration of requirements and needs of the patients and cross-border exchange of the skills, research, workforce, and data. THOS platform has introduced new care concepts with modern structures and open functional components. It provides functionality to link various mobile apps to record medical data, secure internal mail and brings together different health care professionals. Telemedicine platforms can be exploited to provide health care services to refugees in a country because they might not be having an electronic health record in that country. It leads to a cost reduction through coordinated service offerings between all medical service providers. Avatar Kids is a worldwide unique pilot project which enables kids and young adults between 4 and 18 years old, to remain in contact with their familiar environment at school and at home during a long-term hospital stay. The Avatar robot Nao represents thereby the link between the long-term patient at the hospital and his school or family at home. Developed by a Swiss company called Avatarion, it is an easy to realize project releases the burden of long term stays of children in hospitals. Children are able to participate in class’s activities, interact with their classmates and stay in contact with their well-known social environment. The basic technology behind the project is exchanging data over the 4G network. The Avatar kids project, one of its kind, has gained media attention and emerged winner of World Didac Award 2014. Avatorian is also working on a solution for Autistic children where children can talk to robots, parents, doctors to learn to socialize and get better with time. SAP health engagement is a new product for better care, and well-being of individuals and enables a close interaction with caregivers on the discretion of the individual while ensuring highest standards of patient data security and privacy. It offers solutions for the individuals to easily track their daily fitness and set future goals for themselves. It is also a platform for the doctors to provide better insights into their patient’s well-being and can intervene when required. Patient engagement is also used to drive behavioral change in the patients and to motivate them to change their lifestyle so as to lead a healthy life. Roche Diabetes care has developed an app which allows users to measure their blood glucose level and monitors their blood pressure, calories intake and physical activities. Patients can track their medication and get a new prescription request from their doctors. Pregnancy app developed for Heidelberg University Hospital is a platform for pregnant women to interact with their doctors in a better way. It introduces a new level of patient-physician relationship by opening a direct channel for communication. The app also allows the patients to schedule their appointments. Recent technology advances and market dynamics have set the stage for an overdue transformation — creating a new approach, where people have the tools and information needed to take charge and make healthier personal choices. Analyzing data for positive outcomes and giving guidance to the patients is the need of the hour.